That pattern broke during my recent trip from JFK to Berlin to participate in the Healing Summit, a gathering of leaders in the wellness community (I’m a psychotherapist) to explore ways to make the world a kinder, more accepting place… a noble mission I was thrilled to be part of, yet I was too anxious to manage even 20 minutes of fitful dozing, or to focus on a novel. A child of Holocaust survivors, Germany was not a place I journeyed to easily. My first flight to Germany over 30 years ago was to provide emotional support for my father while he testified at a war trial against an alleged Nazi for crimes in Lodz, Poland, Dad’s hometown. The German government flew us business class – a first for Dad and me. The decadent comfort of Lufthansa’s exciting offerings – Goodie bag of toiletries! Recliners! Warm rolls! – would have made catching serious zzzz’s possible, but Dad wanted to talk. Cocooned together 35,000 feet above the world, for the first time Dad confided specifics about the horrors that shaped his life: in August 1944, being herded onto a cattle car with his parents and three sisters; arriving at Auschwitz, then ‘selected’ by Mengele to join the line that meant a chance at survival; watching his parents and smallest sister slowly head in the direction from which no one returned, then forced back onto a cattle car to be imprisoned at Dachau. I had no words to offer Dad, just my hand curled atop his across the armrest. Our two days in the industrial town of Bochum were stressful – the defendant was in the courtroom, chewing a pencil nub and staring poker faced out a window while my father, with the help of a translator, gave his testimony that he couldn’t definitively ID the accused as the one who had herded Dad’s family onto the cattle car. (The trial lasted five years and ended with a not guilty verdict.) At night we went to a movie theater and watched a James Bond film (no memory which one) dubbed into German, robotically stuffing our faces with buttered popcorn. It took 15 years for me to travel again to Germany – a stopover in Frankfurt Airport on the way to Kenya. My plan to collapse into a potboiler was derailed by my seat-mate, an elderly woman armed with tissues and stories about her recently-deceased husband and their post-war life in Pennsylvania. This was her first ever solo trip; Anna’s son Hans would be waiting at baggage claim. I felt empathy toward this sweet widow who spoke of bake sales and country fairs. A third of the way into the flight she let slip that her husband had been a soldier in the German Army. I froze. When the flight attendant stopped by to ask if we wanted water or juice I nearly screamed, “Get me a seat on the other end of the plane!” My companion continued talking, once patting my hand on the armrest while thanking me for being kind. Did she realize I was Jewish? I told her my parents were from Poland. She quieted, and resumed talking about life in Pennsylvania. It was three lifetimes before we landed. I forced myself not to grab my bag from the overhead and race down the aisle. My father would have been angry if I abandoned this frail woman. She leaned on me as we walked slowly through the airport, down an escalator to the baggage claim. Anna squealed joyfully as her son swooped in, beaming. She introduced me. Hans said “Danke, Sherry for taking care of Mama.” I smiled thinly, wished them well and fled. As I tightened my seatbelt on the plane that would take me to Kenya, I vowed to never again step foot in this country that caused such trauma to so many. 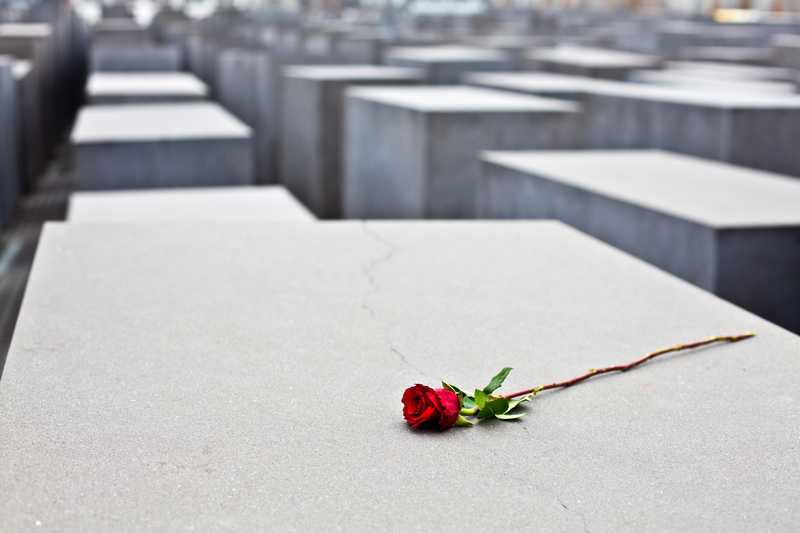 The next morning I booked a sightseeing trip of Holocaust memorial sites and had my eyes opened to ways Germans are ensuring their past is not repeated. I exhaled years of pain while standing outside the school on Levetzowstrasse where once a year students read aloud 55,000 names of Jews who perished, and The House of One, which, when completed, will be a house of worship for Jews, Christians and Muslims! My mind ablaze with positive images and thoughts, I almost didn’t want to leave Germany. Something had shifted – including my difficulty sleeping on a plane. I spent much of the flight home blissfully slumbering, a woman who had experienced her personal healing summit. Sherry Amatenstein LCSW is a NYC- based therapist and editor of the anthology HOW DOES THAT MAKE YOU FEEL? True Confessions from Both Sides of the Therapy Couch.